It doesn’t come as a surprise that Maharashtra State government has announced that it will include a chapter on Sachin Tendulkar in the Class IV textbook. The ‘God of Cricket’ is not only referred as ‘common religion for all Indians’ but is also looked upon as a successful human being who won the ‘Game of Life’ in an admirable way! 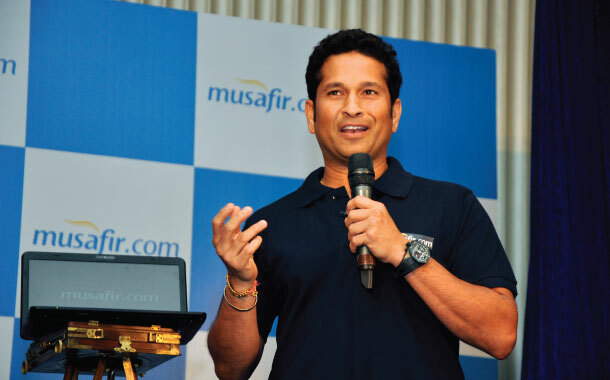 Being the brand ambassador of Musafir.com, he also taught the travellers to ‘Go Ghoomne’ in many different ways. Here, we jot down a few travel lessons that we learnt from the Master Blaster’s life! Passionate about football? Travel to Brazil. Passionate about food? Visit Thailand or Italy! Travel can give you the best platform to follow your passion and live them! Ditch the usual and go for unusual travel experiences. Be a responsible traveller and respect the nature and the country/ state you are travelling to. Leave behind a better, cleaner and greener world for your next generation. "I love the thought of building on dreams, because it's helped me reach places in my life that were once thought to be impossible."